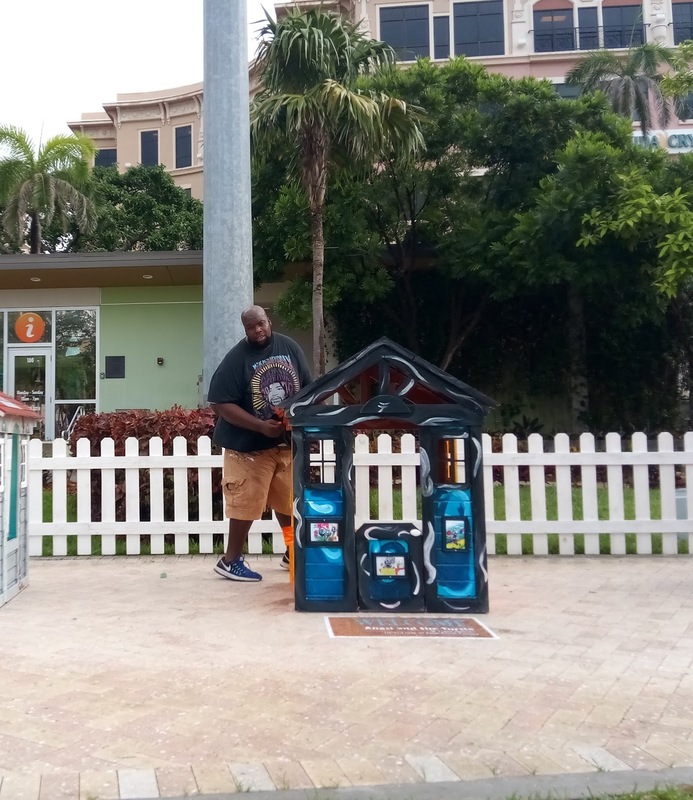 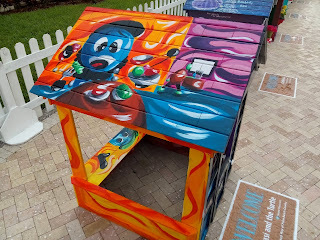 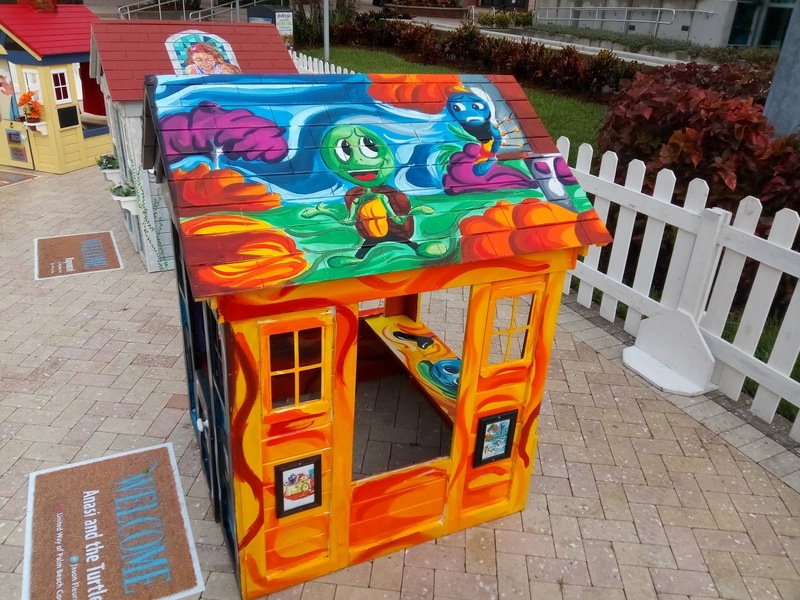 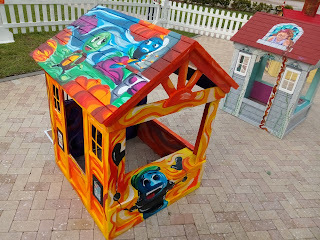 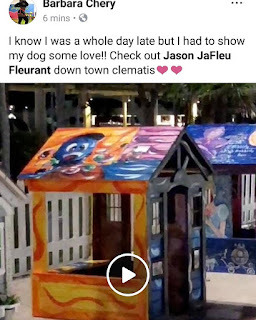 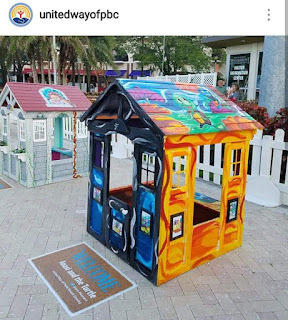 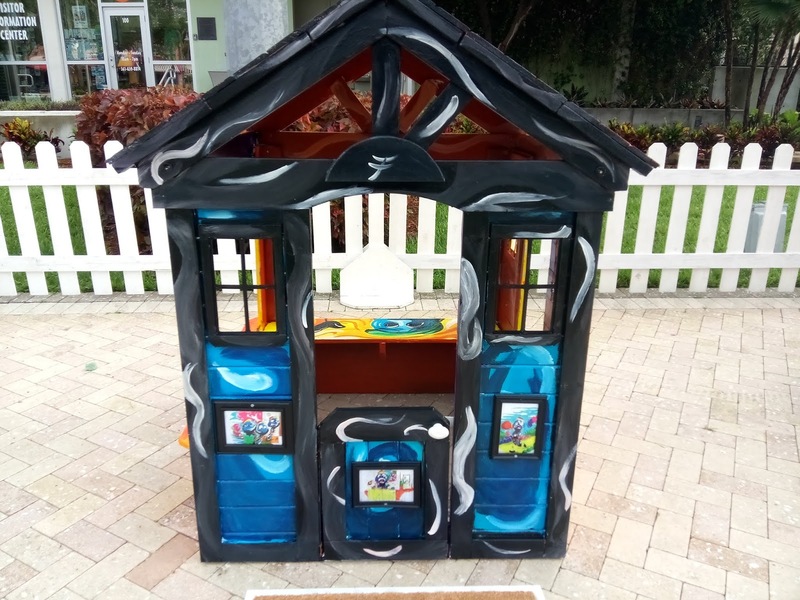 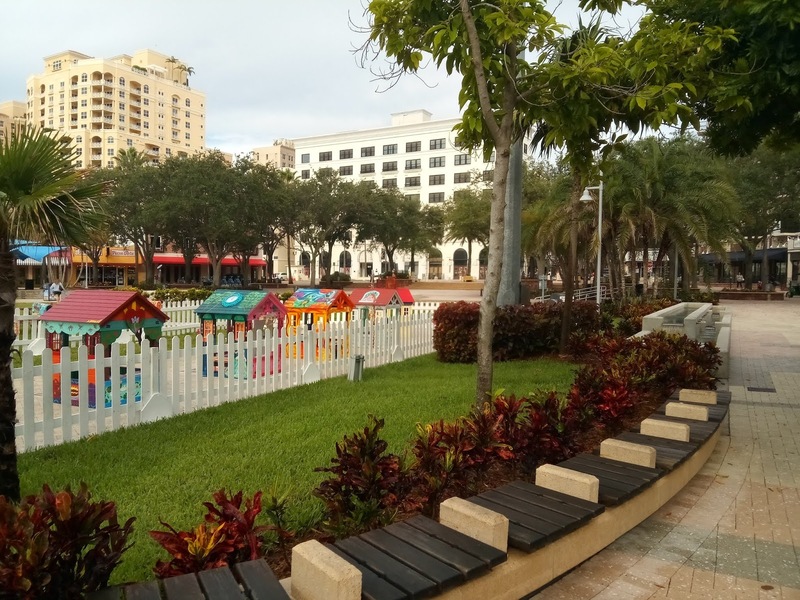 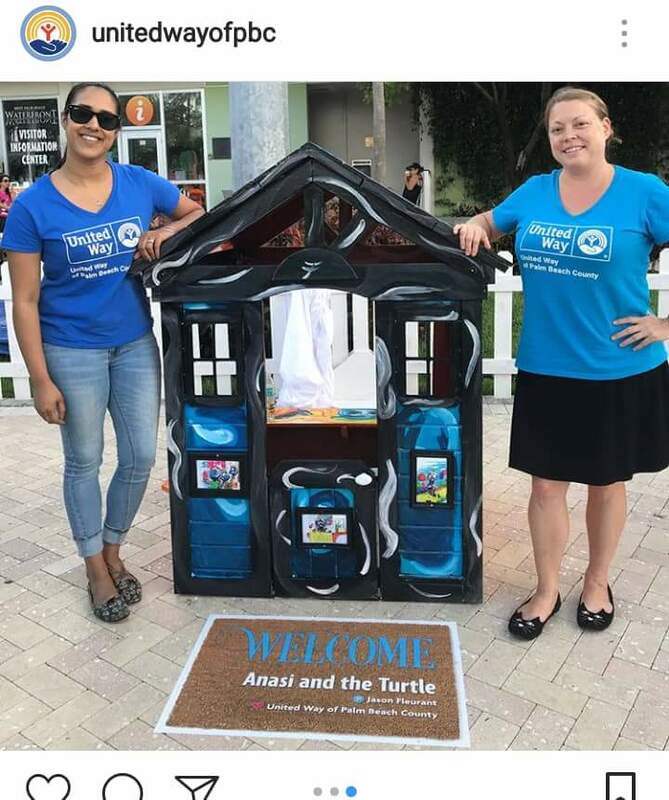 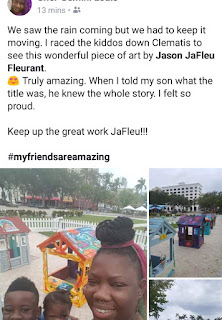 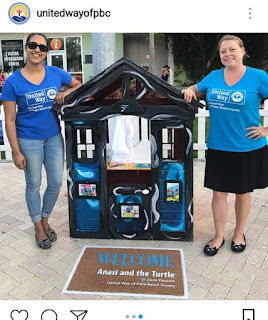 The Summer In Paradise Fairy Tale Playhouses have been revealed to throw public and currently are exhibited on the waterfront of Clematis. 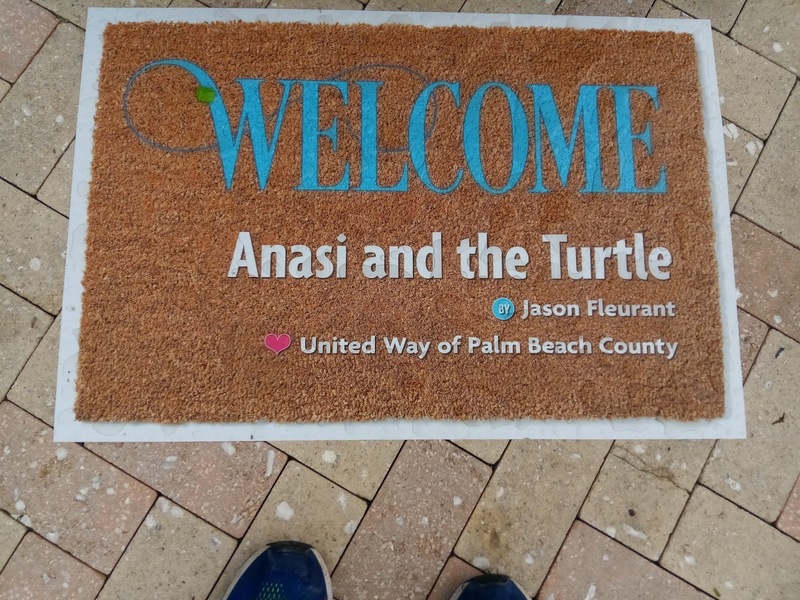 And will be until July 26.
ivI' been assured is being fixed with Anansi's name but everything looks amazing. 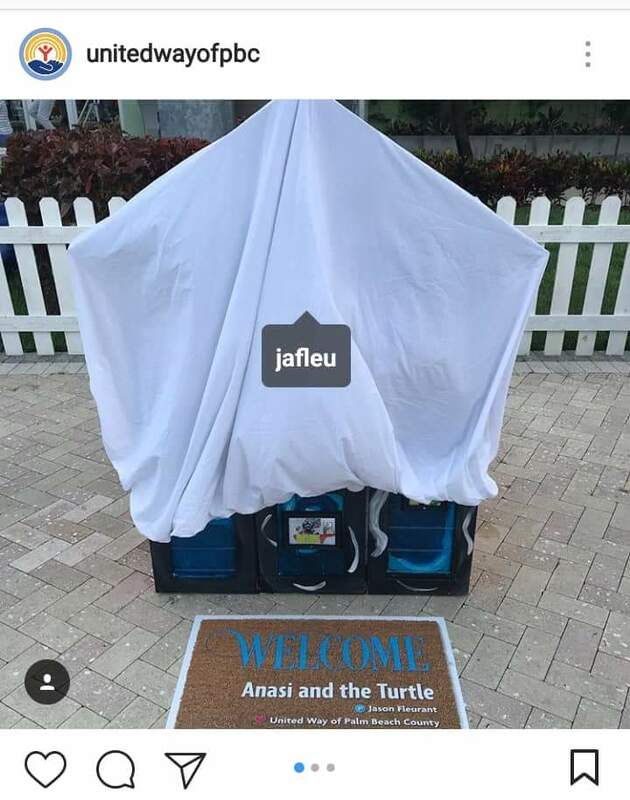 Anansi. 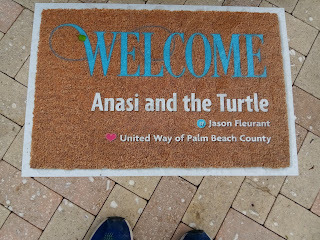 And no one during the entire process knew anything about Anansi or the story "Anansi & the Turtle". So I'm feeling this extra level of pressure to replace it for our stories but not only that. 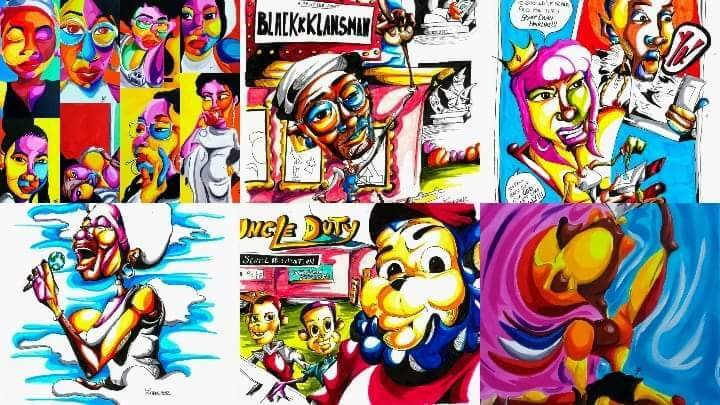 This character design of Anansi be my own original Treal Toonz was another level of pressure. 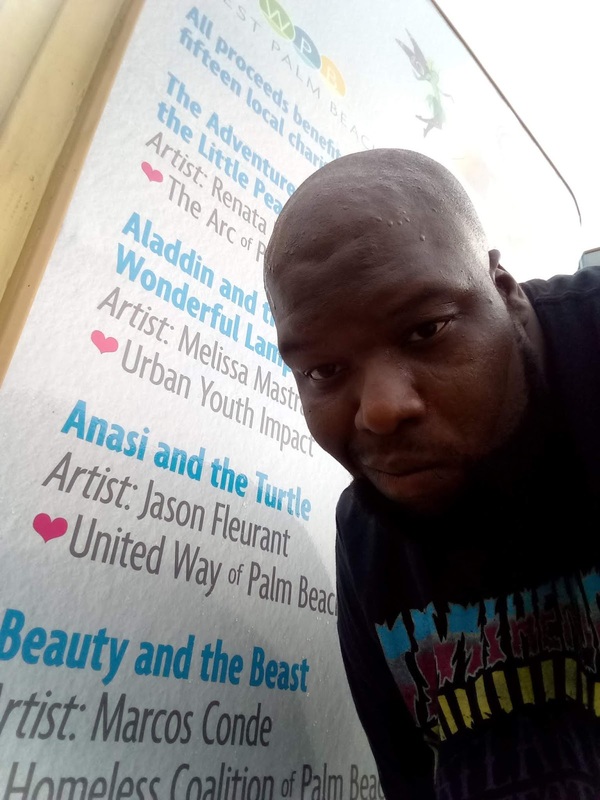 Because now not only who people who had no clue who Anansi was, these people who will recognize Aladdin, 3 Little pigs, Pinocchio instantly because of designs by Disney, there first impression of Anansi will be my Treal Toonz. perfected. 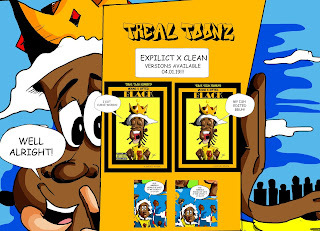 So I said my prayers, poured my libations, put it in the air and just went in. There we points where I was like "Damn J, I don't think this gonna work out" but something said just paint.